Love the beautiful blue and the tall spike of flower to give structure amongst the other plants in the garden . Lovely flower and colour Beryl. 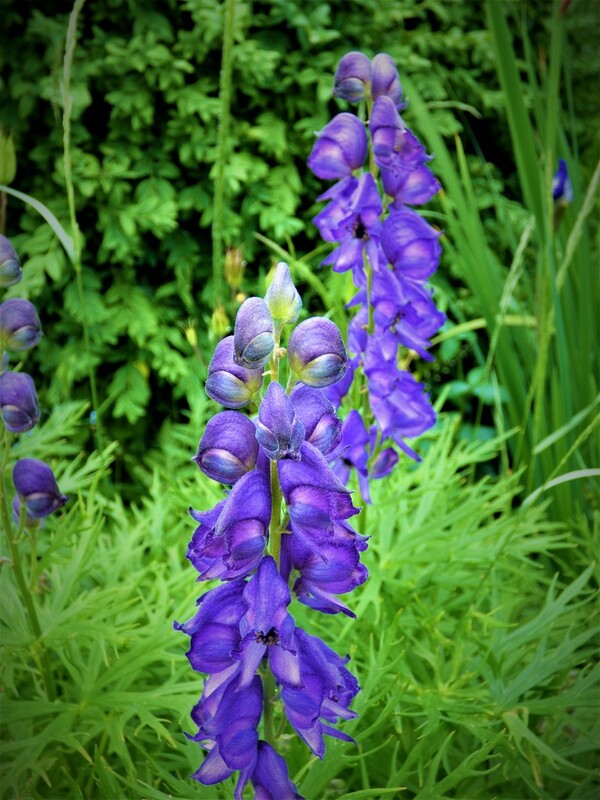 I think it might be monkshood. Lovely flower, 'monnikskap' in Dutch. It’s beautiful, such a lovely color. Really pretty. I don't think I've ever heard it's name before. My two favorite colors. Gorgeous! Lovely flower, it looks too beautiful to be poisonous.